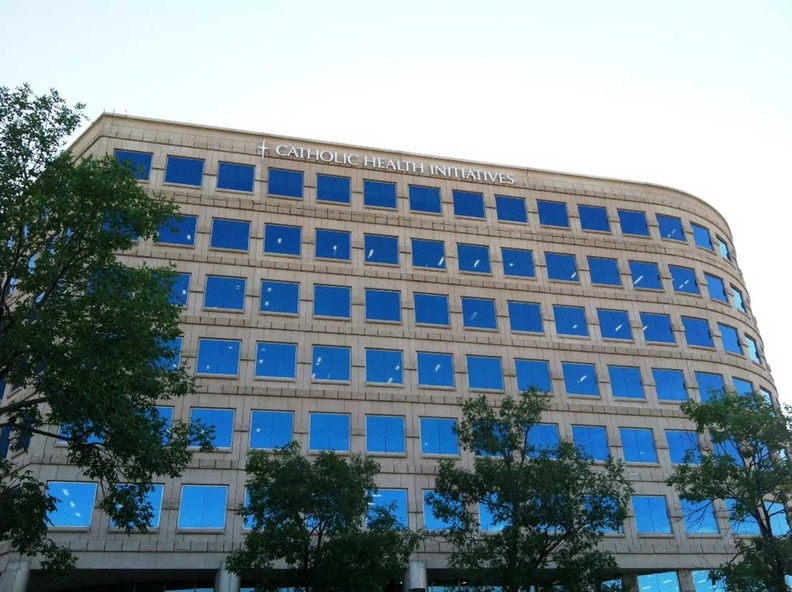 Catholic Health Initiatives' latest earnings report shows the system may be recovering after years of heavy operating losses stemming from under-performing hospitals and an ill-fated foray into the insurance business. Englewood, Colo.-based CHI posted an operating loss of $1.5 million in the quarter ending Dec. 31, 2017, a significant upswing from the $146 million loss the not-for-profit system reported at the same time in the previous year. The system's operating margin was 0% in its second quarter of fiscal 2018, an improvement from the nearly 4% operating loss it reported a year earlier. CHI's president for enterprise business lines and CFO Dean Swindle said in an interview with Modern Healthcare the system is finally seeing the pay-off from an expensive restructuring that added a grand total of $374 million in expenses in 2017, mostly from severance packages and consulting fees. That project cost a residual $16 million in the second quarter of 2018, but Swindle said those costs will eventually go away completely. "Quite honestly, the organization feels confident that we're seeing the results from the tough decisions we've made," Swindle said, "and we'll build off that." The system, which operates in 18 states and owns 101 hospitals, generated about $282 million in operating earnings before interest, depreciation and amortization in the second quarter, which the system reported was the highest it has seen in several years. CHI's operating EBIDA was $126 million a year earlier. Stretching back to the six-month period ending Dec. 31, 2017, those numbers improve further. Operating EBIDA becomes $504.6 million, compared with $217.7 million in the period ending Dec. 31, 2016. In addition to less restructuring costs, Swindle said CHI is also seeing lower labor and supply costs. But CHI struggles with the same admission pressures that have befallen nearly all health systems. Acute admissions were down by more than 3,000 in the second quarter of 2018 compared with a year earlier, and outpatient visits were down by about 32,500 during the same time period. Long-term care days, inpatient and outpatient emergency room visits, inpatient and outpatient surgeries and non-emergency outpatient visits were also down slightly. The only utilization category that didn't see a drop was physician visits, which were up only slightly. At the same time, the system managed to increase its net revenue per admission by nearly 4% in the second quarter of 2018, compared with a 1.2% increase a year earlier. That also surpassed the 3.5% increase in revenue per admission HCA Holdings reported last week in its fourth quarter 2017 earnings release. Despite the lower utilization, CHI's total net patient service revenue was up 2.5% in the quarter. Swindle attributes the higher revenue per admission in part to improved revenue cycle operations and higher managed care rates. CHI generated $3.82 billion in operating revenue in the second quarter of 2018, up slightly from $3.76 billion at the same time in 2017. Operating expenses before restructuring, impairment and other losses were $3.8 billion, relatively unchanged from a year earlier. CHI reported an excess of revenue over expenses of $215 million in the second quarter of 2018, up from a roughly $25 million deficit a year earlier.